A short trip to look at the dig at the end of Hanger North which looks like a very long term proposition. 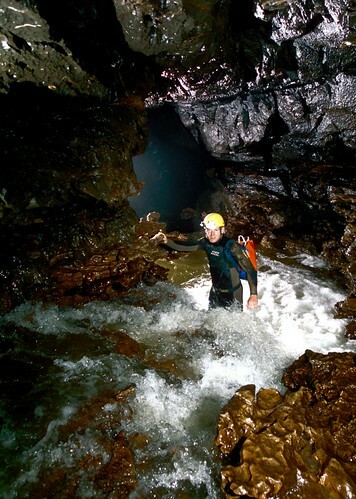 The water in the Lakes was fairly high, but this time we did make it out in time to exit via the show cave. Jason Cashmore at the Cascades.